Cirsium arvense f. albiflorum Kitag. Cirsium arvense f. albiflorum (E.L.Rand & Redfield) R.Hoffm. 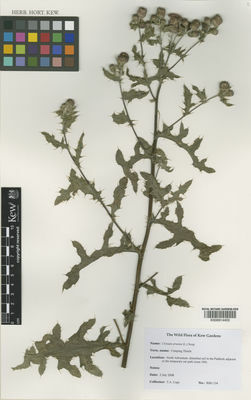 Cirsium arvense var. horridum Wimm. & Grab. Cirsium arvense var. incanum (S.G.Gmel.) Ledeb. Cirsium arvense var. integrifolium Wimm. & Grab. Cirsium arvense var. mite Wimm. & Grab. Cirsium arvense var. setosum (Willd.) Ledeb. Cirsium arvense var. subalatum (Ledeb.) Ledeb. Cirsium arvense var. vestitum Wimm. & Grab. Cirsium incanum (S.G.Gmel.) Fisch. ex M.Bieb. Cirsium neglectum Fisch. ex Spreng. Cirsium setosum var. subalatum Ledeb. Cnicus arvensis var. setosus (Willd.) Maxim. 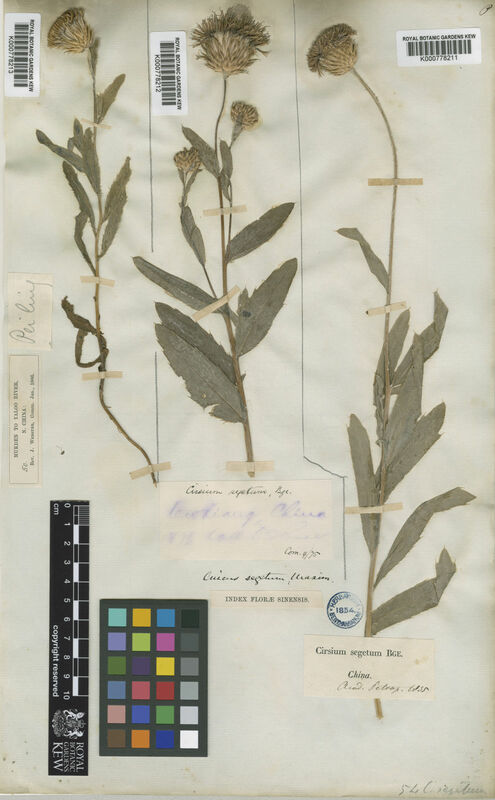 Serratula campestris Schweigg. ex DC. Tropicos.org (2009-continuously updated). Tropicos.org. Missouri Botanical Garden http://www.tropicos.org/. Flora of North America Editorial Committee in Flora of North America Editorial Committee (2006). Asteraceae, Part 1 Flora of North America North of Mexico 19(1): 1-579. Oxford University Press, New York, Oxford.